Build it supplies sand, stone and ready-mix products in selected stores, with delivery of full truck loads on request. 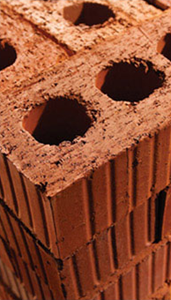 We have a comprehensive range of bricks, blocks, pavers and concrete products in selected stores, also with delivery on request. Our stores carry weldmesh, brickforce and reinforced bars for all your concrete requirements. PVC and DPC sheeting is available in all stores (SABS approved).